Nizen’s aim is to make MADE IN JAPAN healthcare supplements, functional foods, wellness products and cosmetics available globally – at affordable prices. Japan is known for its high quality products. MADE IN JAPAN is almost a brand by itself and is synonymous with TRUST, CONFIDENCE and PREMIUM QUALITY. Japanese people are known to live very long and are quite healthy. Their longevity, health and beauty are still like a secret to the world. Their love for nature and traditional food are remarkable too. Owing to its history of healthy food sciences, modern day research and innovative formulations Japan has Highest Quality of health and beauty products. But most Japanese health and beauty products are available only in few countries and that too of few product ranges. Nizen aims to break this hurdle and make premium quality Japanese health and beauty products reach out to maximum people across the globe. 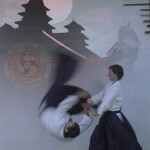 Aiki Ten Shin Sho Kai has been teaching in Brisbane and Bristol since 1988. It is a traditional Japanese martial arts school based on the principle of Aiki or blending with energy. Both open hand and weapons forms are taught. The primary purpose of the School is to provide a vehicle for self transformation; a new way of ‘seeing’ through the practice of a martial discipline. It is not a sport nor a competitive art, so whilst it is extremely effective as a self defence, if you are after a quick and easy way to learn to ‘fight’, then this is not the School for you. If, instead, you are looking for a more comprehensive approach, then Aiki Ten Shin Sho Kai offers a practical life philosophy as expressed through Japanese Budo. Infant Massage Tuition promotes health and education for children.